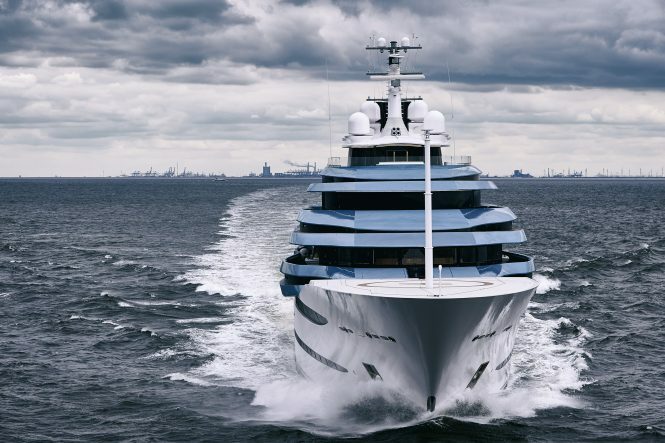 When it comes to superyacht launches, a common theme can become apparent over the course of a year: It may be as simple as a particular colour palette, a favoured style of bow or even a particular size category when shipyards push to produce their biggest projects to date. While 2016 saw the launch of a string of expedition yachts – a trend that continued on past the New Year – the emphasis for 2017 has been to break down the boundaries between inside and outdoor living, particularly for the main aft deck and the beach club. Take a look back at the most industry-changing superyacht launches from the last 12 months, get inspiration for your own tailor-made holiday and see if you can predict what will be in vogue for 2018. 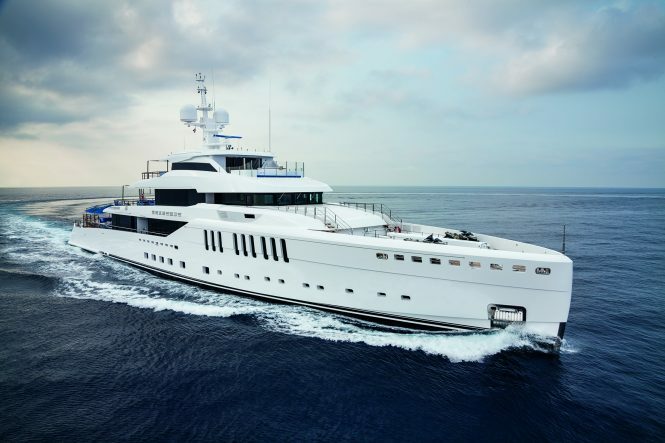 For more information on any of the below superyachts, contact the expert brokers at CharterWorld. 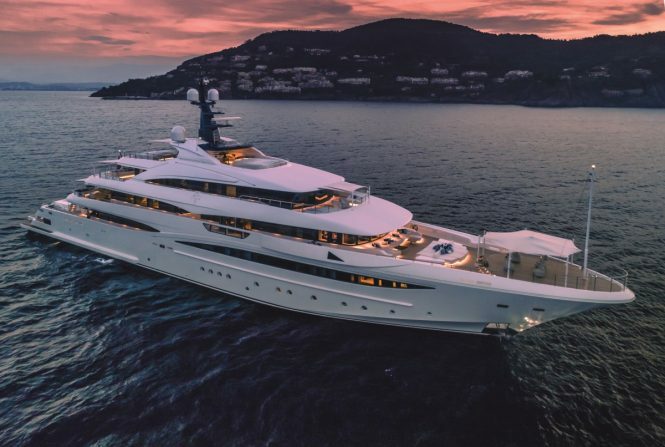 Currently the Abeking & Rasmussen flagship at a massive 98m/321ft, mega yacht AVIVA is certainly a sight to behold and sports a robin’s egg blue hull that combines sleek curves and sturdy construction. The exterior and interior styling were completed by Toby Silverton with Reymond Langton Design, who are known for their bright contemporary interiors. 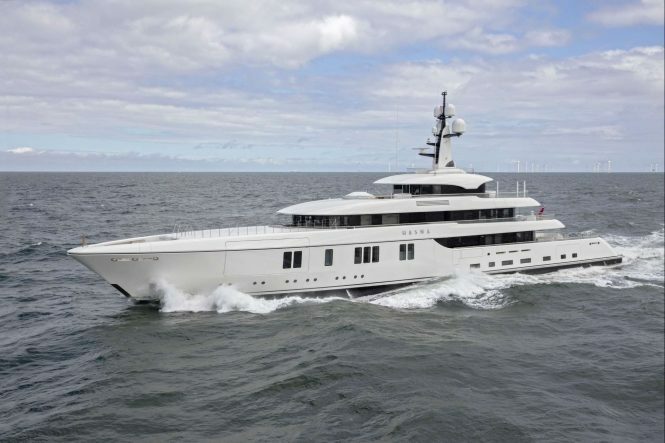 Her name is inherited as part of a series of superyachts completed by Abeking & Rasmussen for British billionaire Joe Lewis, the last one being delivered back in 2007 with an L.O.A of 68m/223ft and a maximum speed of 16.5 knots. However, the latest AVIVA has a full-sized indoor paddle tennis court, is capable of a top speed of 20 knots and uses a hybrid propulsion system for a cruising speed of 11 knots using electric motors. Learn more about superyacht AVIVA. 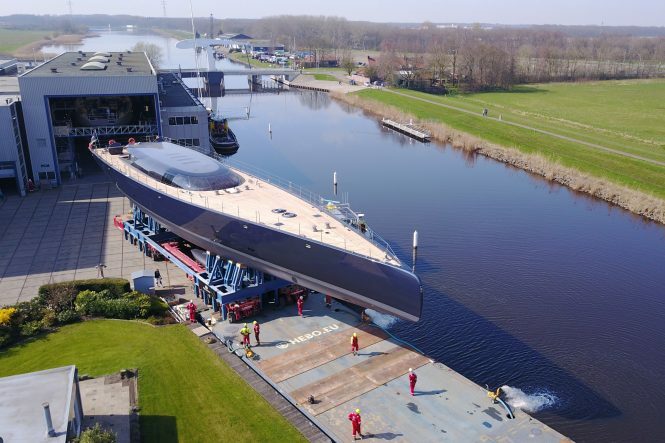 The launch of 110m/360ft superyacht JUBILEE from Oceanco was a proud moment for the Netherlands because she was the largest superyacht the country had ever produced. 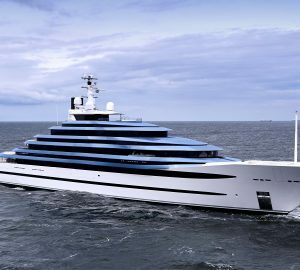 By the end of 2017, she retains her title, and her exterior design from Azure Naval Architects and Igor Lobanov continue to astound due to her ‘double deck’ visual effect and the incorporation of an aquarium into the outdoor swimming pool. Sam Sorgiovanni completed her interiors, which includes 15 cabins for up to 30 guests and an extensive beach club to make an excellent first impression for visitors arriving by tender. Find out more information on luxury yacht JUBILEE. 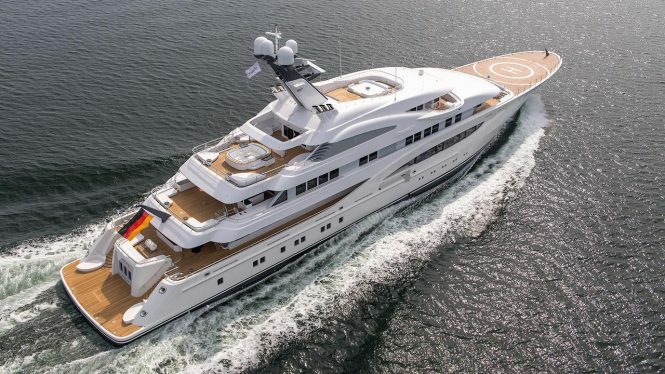 For those looking for inspiration on lavish ways to relax, Lurssen-built 85m/278ft luxury yacht ARETI will certainly whet your appetite: The dedicated spa centre contains a hammam, Jacuzzi, sauna and plunge pool. There are five opulent decks for guests to enjoy from British designer Winch Design, and with a crew of 28 on board, a helipad and a range of 6,000 nautical miles, superyacht ARTEI is ready to take guests on a spectacular tour of the world’s most remote and beautiful places. 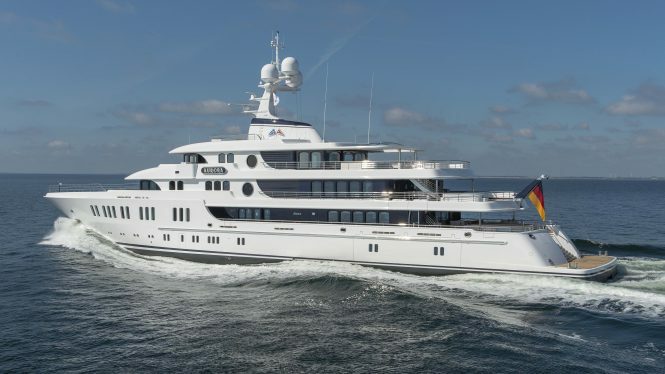 Read more about motor yacht ARETI. 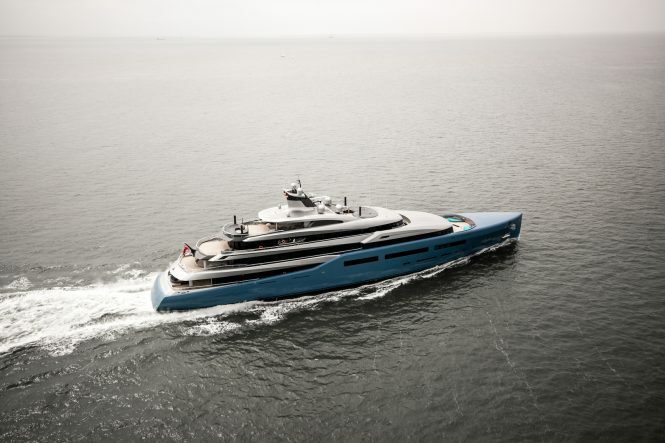 The second unit in the Amels Limited Edition 242 series, mega yacht NEW SECRET comes in at 74m and features the styling of critically acclaimed designers Tim Heywood and Andrew Winch. Although the interiors have not yet been revealed, her facilities include a spa with a sauna and six ample guest cabins. The generous aft deck spaces host a bridge deck helipad and a broad swimming pool for the perfect place to cool off while docked. Read on for amenities and specifications. It’s plain to see the art deco influence in 74m/243ft luxury yacht AURORA the moment you set eyes on her: The nameplate is reminiscent of the 1920’s-1930’s, and the balustrades and windows share these dignified design traits. 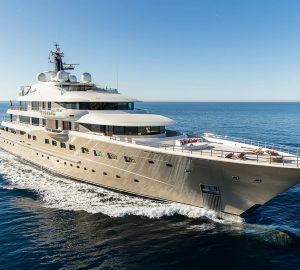 Although AURORA was the smallest yacht to be launched by Lurssen since 2014, her interior volume is currently unmatched for any yacht in her size category. The 13m/43ft beam creates an extra spacious sky lounge, which acts as an entertainment hub and features the styling of Winch Design. See the specifications for superyacht AURORA. As one of the most publicised launches of 2017, CRN met expectations and exceeded them with 74m/243ft custom luxury yacht CLOUD 9. The exteriors were designed by Zuccon International Project with interiors from Andrew Winch for a breathtaking contemporary beach club ambience that brings together light, texture, natural materials and artwork for truly exceptional living areas designed for group gatherings, adventure and relaxation. A PADI Certified Dive Centre with an enviable selection of water toys, superyacht CLOUD 9 also has a swimming pool, spa and beach club. At the World Yachts Trophies 2017, she won Best Layout 164-270ft (50- 82m), and she was a finalist for Best Power 65+m at the International Superyacht Society Awards 2017, proving her quality as she enters the charter world in the Mediterranean and Caribbean. Discover more about motor yacht CLOUD 9. Launched in the middle of the year, 73m/240ft M/Y HASNA is another Feadship superyacht showcasing the shipyard’s dedication to high-quality engineering and design. 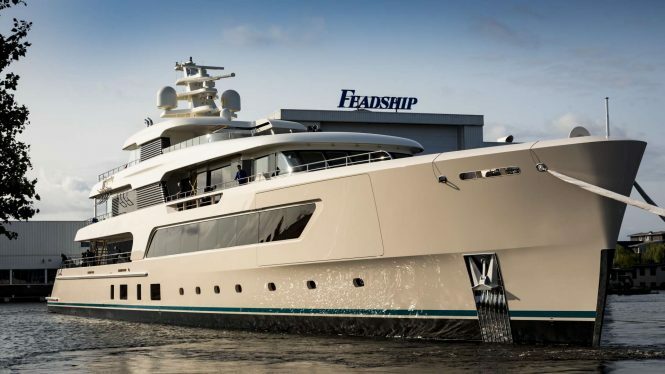 De Voogt Naval Architects produced her on-trend sturdy styling that puts a spotlight on the broad staircases enveloping a stylish swimming pool and its exposed glass stern. The family-friendly layout has laid-back interiors designed by RWD and contains accommodation for 12 guests and 21 crew. Learn more about the facilities aboard motor yacht HASNA. Although 69m/226ft expedition yacht SAMAYA is designed for comfort, its her amenities which truly stand out above other charter options: Constructed for scientific expeditions as well as personal holidays, there is a dedicated dive centre with a heated plunge pool for recovery and the temperature of the interiors can reach 30°C for quicker recovery from dives. The rooms are styled using cultural motifs from the diverse locations the Owner has visited, and there is a media room for relaxing family entertainment and watching the highlights of the day’s dives. The hull has a subtle pink hue that is almost invisible during the day and comes into its own at sunrise and sunset for a truly unique effect. 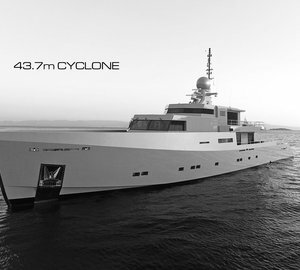 Read on for more information about explorer yacht SAMAYA. Built from a concept by Cor D. Rover, 67m/220ft luxury yacht SEASENSE from Benetti has a fashionable plumb bow and an extensive main deck aft that hosts a fantastic swimming pool and beach club area that can be covered and converted into a basketball court. 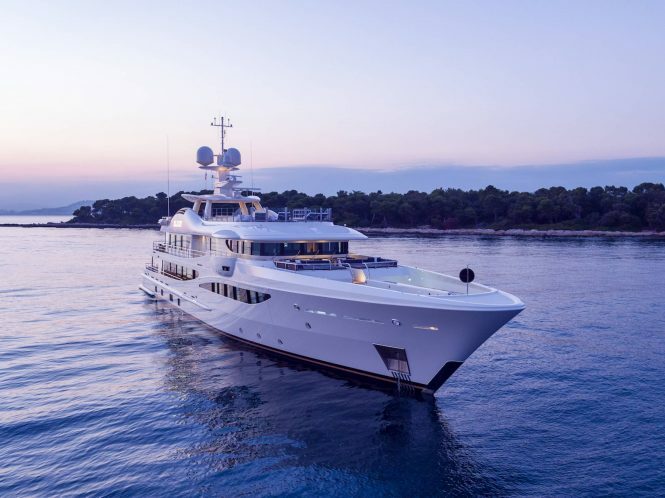 Below the waterline, there is a glittering golden hull that matches the colour of the large floor-to-ceiling windows at sunset. Cutaway gunwales increase the onboard space and create additional terraces for guests who wish to remain close to the main salon dining area. The interior from Los Angeles-based design firm AREA uses over 100 materials and employs a multitude of blue tones to emphasise the connection to the sea. She accommodates up to 12 guests over six generous guest cabins. 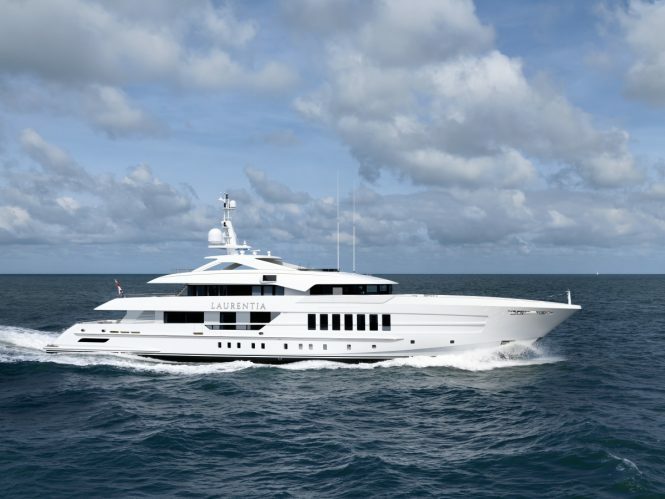 M/Y SEASENSE has a top speed and cruising speed of 15 knots with a range of 5,000 nautical miles. Explore the onboard facilities with superyacht SEASENSE. Sailing yacht SEVEN is the third 60m/197ft hull from Perini Navi, following on from prestigious names S/Y SEAHAWK (available for charter in the South Pacific) and S/Y PERSUEUS^3, a regular at regattas in both the Mediterranean and the Caribbean. Built using aluminium and carbon fibre, she blends the best of tradition with cutting edge technology for high-performance sailing. The wide beam of 11.4m/37.5ft ensures that there is plenty of interior volume in both the shared guest areas and the five private cabins, which accommodate up to 10 guests. Read more about the layout and facilities of sailing yacht SEVEN. The all-aluminium 58m/190ft sailing yacht NGONI (ex.BEAST) was designed by the talented Dubois Naval Architects for Royal Huisman, and the svelte hardtop conceals an impeccable cockpit for alfresco dining, and the stepped stern attractively flows down to the sea. The eclectic interior from Rick Baker and Paul Morgan has a great selection of facilities, including a gym, a library/study and a sauna, with accommodation for up to 8 guests over four cabins. Find out more about sailing yacht Ngoni. 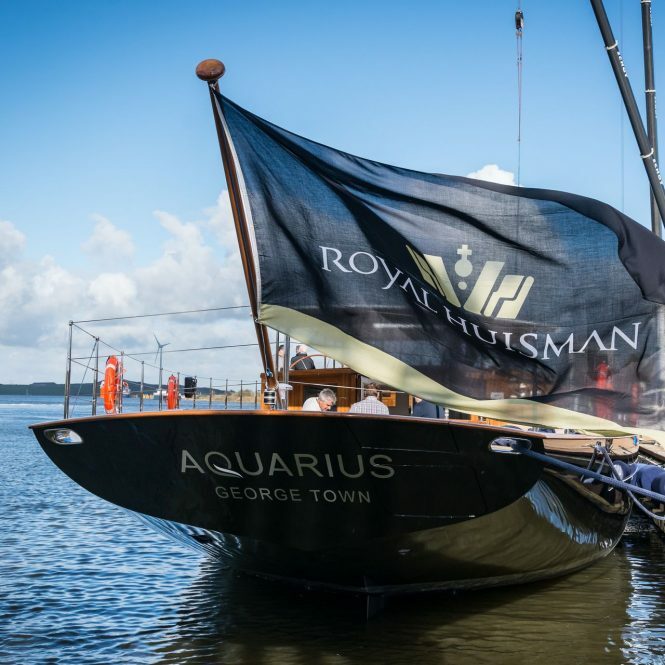 The traditionally-styled 56m/184ft sailing yacht AQUARIUS is another hull launched this year by the Royal Huisman shipyard and was designed by Dykstra Naval Architects with interiors from Mark Whiteley Design. Guests can dine and socialise within the varnished wood and white painted surroundings that become even more ambient after sundown. As well as the main salon, there is a media room, a gym and a private deckhouse for the occupants of the master suite. Along with an abundance of water toys, sailing yacht AQUARIUS will amuse adults and children on board wherever she cruises. 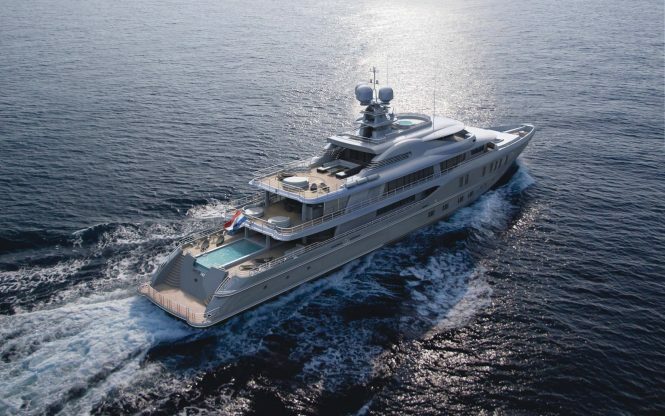 See more on luxury yacht AQUARIUS. Superyacht LILI from the Limited Editions 180 series has a gorgeous champagne coloured hull and the signature styling of the Amels yard. Evolving the superyacht concept to maximise space and facilities, there is a 4m/13ft swimming pool with counter-currents on the main deck aft and a beach club equipped with a steam room for guest relaxation. Designers Tim Heywood and Laura Sessa Romboli worked on making modern spaces that reduced the barriers between interior and exterior spaces and the light, invigorating colour scheme – perfect morning, noon or night for relaxation and play among the charter grounds or the Mediterranean, Indian Ocean or Southeast Asia. See more about the onboard amenities and availability of M/Y LILI. 50m/180ft LAURENTIA has the deceptive styling of a classic superyacht and cutting-edge performance for responsiveness even when experiencing adverse sea conditions: During her sea trials in September she responded quickly to commands from the helm station and reached a top speed of 16.6 knots. White oak and wenge interiors from Miami-based RADYCA set the scene for American and European furnishings in natural materials and neutral colours to make the perfect complement to the opulent outdoor deck areas from Omega Architects. Find out about luxury yacht LAURENTIA. 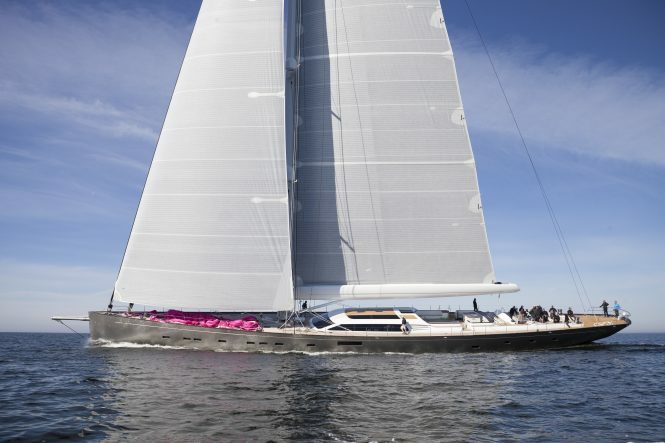 Finnish shipyard Baltic Yachts launched 54m/162ft sailing yacht PINK GIN VI. Designed by Judel/Vrolijk & Co, her keel bulb has been painted for a shark-like appearance, and the hull uses a carbon composite sandwich construction method for greater durability on a lighter hull. The owner collaborated with Design Unlimited to produce bespoke interiors that are divided into three distinct areas: A helm station, a formal dining area with access to the galley and an aft lounge. Seven cabins will accommodate up to 14 guests for extended time on board away from the port. 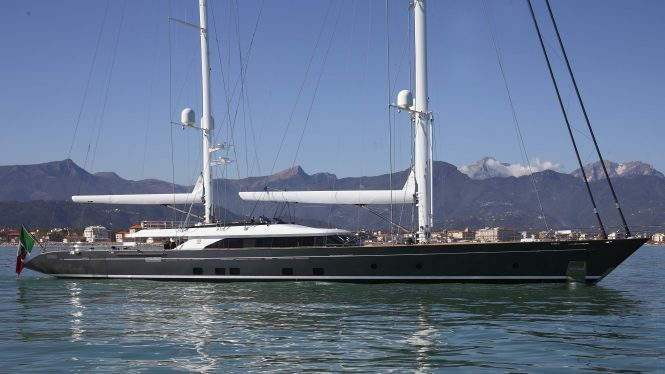 Discover more about sailing yacht PINK GIN VI. When so many superyacht builders are pushing the boundaries of modern design, winning an award can bring attention to a truly innovative design. 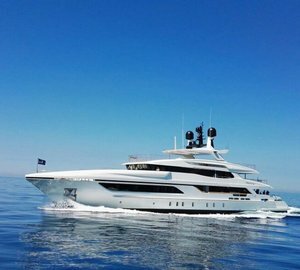 Such is the case with 52m/171ft motor yacht SEVEN SINS from Sanlorenzo when she took Best Interior Design 164-270ft (50m-82m) at the World Yachts Trophies 2017. The glass-bottomed swimming pool is truly a sight to behold from the beach club, which has fold-down bulwarks to almost double space and provide two terraces beside the sea. Sophisticated interiors from Officina Italiana Design beautifully augment the clear outdoor deck areas from the same studio. A maximum of 12 guests is accommodated over five glistening cabins, all with en-suite facilities. 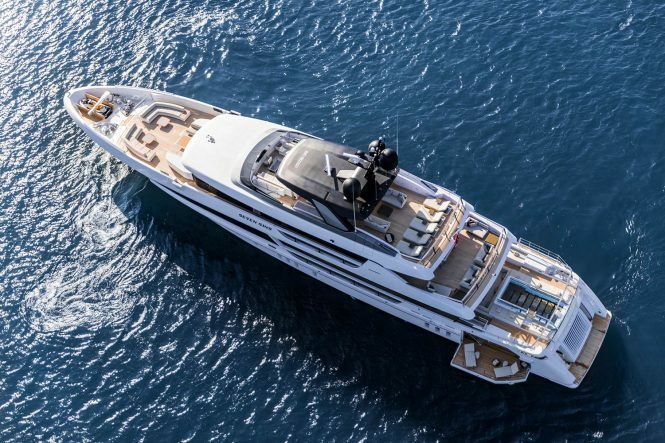 The steel and aluminium displacement superyacht has a top speed of 17 knots and a cruising speed of 11 knots to make the most of the views while cruising through the Mediterranean charter grounds. Learn about the extra amenities aboard motor yacht SEVEN SINS. Please contact CharterWorld - the luxury yacht charter specialist - for more on superyacht news item "The Most Significant Superyacht Launches of 2017".